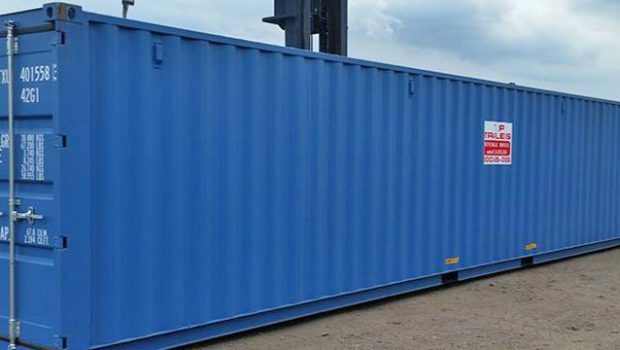 Storage containers serve a variety of purposes for numerous types of businesses: construction, contracting, retail, and more. As a business owner, having the right storage solutions on your site can solve a lot of problems. While the storage is important, having it delivered in the right way is crucial too. 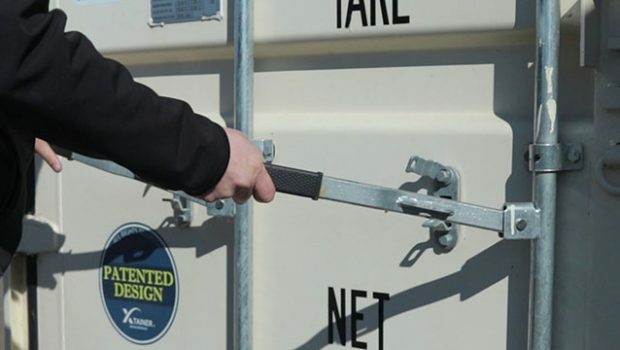 Simply put, there’s a right way and a wrong way to handle storage container delivery. When you’re getting a price to rent or buy a steel storage container, make sure to ask the dealer about their delivery and transportation process. Read our latest blog and learn about the right and wrong way to transport 20 foot or 40 foot storage containers. Plus, you’ll learn why TP Trailers’ storage container delivery is safer, more respectful of your space, and more convenient. Since steel storage units are built to withstand the elements, they are somewhat heavy — approximately 5,000 pounds for a 20 foot unit. As a result, heavy duty equipment is needed to haul them from place-to-place — a personal-use trailer isn’t quite up to the task. Tractor Trailer — The RIGHT way to haul portable storage containers. Transporting a unit on a flatbed rollback tractor trailer is safe, easy, and it’s what we do every time. The only reason this isn’t industry standard is some storage container dealers haven’t invested in tractor trailer fleets. Pickup Truck and Gooseneck Trailer — While a gooseneck trailer with a heavy-duty pickup may be rated to handle the weight, it just isn’t the safest option. In addition, this transport method gives you fewer options for delivery when on the site itself. Why Does Shipping Container Transportation Matter? The Right Size — While gooseneck trailers can handle the weight, they struggle to handle the square footage of 40-foot trailers. This makes them a far greater rollover risk when driving to your site, compared to using the appropriately sized flatbed tractor trailer. Simply put, it’s safer to haul with a tractor trailer. Greater Maneuverability with a Tractor Trailer — If you need to unload your storage container in a designated spot on your site, a tractor trailer is your best bet. Because they are a single piece of equipment, tractor trailers have far greater maneuverability. On the other hand, pickup trucks hauling large gooseneck trailers struggle to maneuver — or back into — certain spaces. Easier Delivery — TP Trailers delivers storage containers using rollback flatbeds that feature a tilting bed. This means our team doesn’t need to drive our trucks over driveways, curbs, and sidewalks. 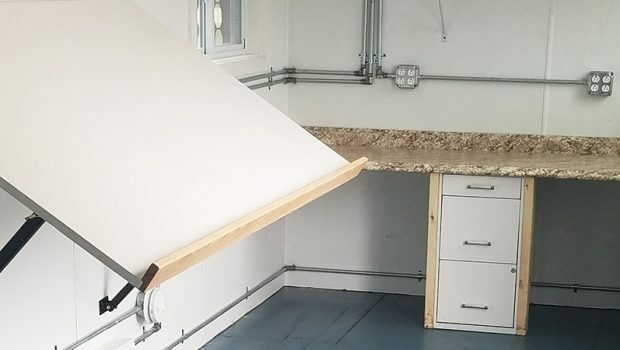 No Chance of Damage — The tilting tractor trailer bed eliminates the chance of the container falling from the trailer sides and being damaged during the unloading process. Blocking — Another important component of our storage container delivery, we can deliver the container on sturdy wood blocks to keep from making marks on fresh blacktop. Need a storage container delivered to your site or your store? We’re the company to call. We supply both new and used 20 foot and 40 foot containers to businesses throughout Pennsylvania and beyond. 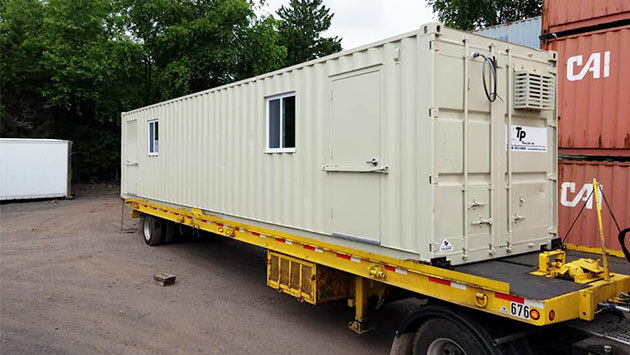 In addition, we also have a selection of air-conditioned mobile offices perfect for use on construction sites. Plus, at TP Trailers we offer next day delivery for nearly all of our customers — and we can sometimes even provide same day delivery in emergency situations. Contact us today to get your storage container quote!